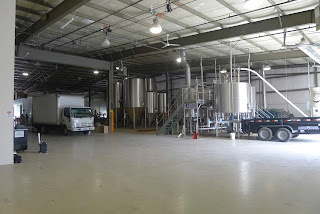 Beervana Buzz: Risk in the "Post-Craft Era"
My recent trip to central Oregon and then Jeff Alworth's post on the dangerous number of breweries there got me thinking about state of craft beer. When you add up what's been happening in Bend and around the state and country, I think you have to conclude the very nature of craft beer has fundamentally changed. The question is, what does that mean? If you think back to the beginnings of the craft era, virtually all of the breweries started off small and catered to a local clientele. This was in keeping with what beer had been about for most of the pre-Prohibition period in the United States. Cities and towns had breweries that served locals. There were national brands that shipped beer to remote markets as early as the 1870s, but beer was mostly a local affair. Craft beer followed that model early on. In fact, one of the reasons craft beer caught on is that it was locally brewed in small batches. This was true of craft breweries everywhere. The thing is, the early craft brewers couldn't afford to advertise to get customers. Their marketing plan was going out to taverns and bars where locals were cheerfully sipping industrial lager and getting them to try craft beer. One of the reasons people were willing to give craft beer a shot is it was local. There were underlying reasons for this, which I won't get into here. The point is, people were willing to try beers that were more expensive, new and completely different largely because they were local. Obviously, the local approach was not the only angle. It was not the approach Full Sail (initially Hood River Brewing) took. Full Sail was the first Oregon craft brewery to bottle and was highly focused on sales outside its local market from the beginning. 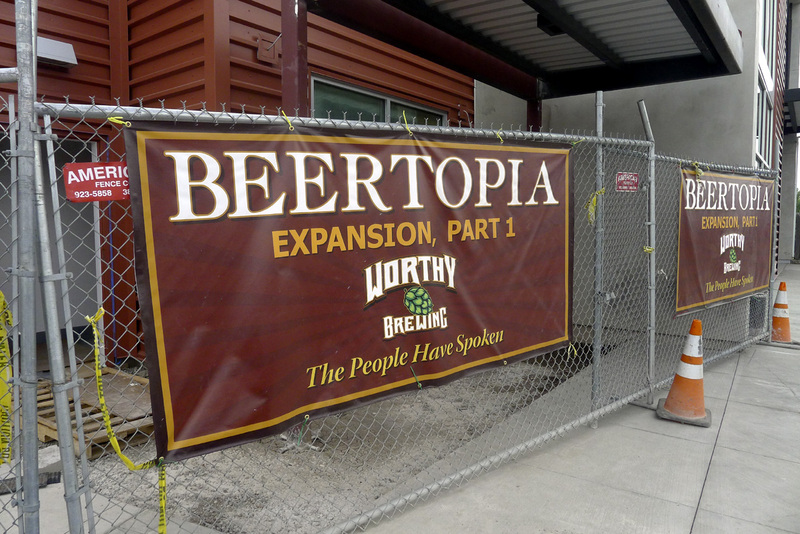 But most Oregon breweries didn't start that way; most focused on local customers. Things have shifted today. More and more breweries are producing a lot of beer and working to sell it in markets outside their local area. This is possible in large part because of what has happened to craft beer in recent years. It is has become a respected commodity. Today's beer fans are more interested in beer that is unique and good than beer that is local. And they know what good beer is. Thus, you can have a brewery like San Diego's Ballast Point or Tillamook's De Garde enter the Portland market and do very well because the beer is good. We are clearly living in a changed world. Someone used the phrase "post-craft era" on Facebook. I think that's exactly right. The rules that applied in 1985 and 1995 don't readily apply today because craft beer is an established entity held in reasonably high esteem. This has enabled breweries to focus more on getting a quality product out to a wide range of markets and less on building a local following. It seems to me Bend exemplifies the "post-craft era." 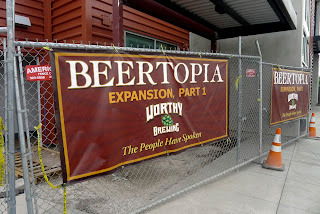 With something like 20 breweries and counting, Bend has more breweries than the local population can realistically support..and don't bother assuming transient tourists are a big factor in overall consumption. 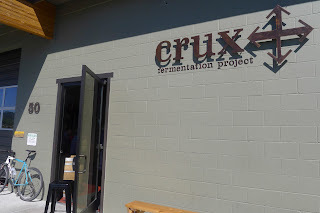 Places like Deschutes, 10 Barrel, Good Life, Crux and Boneyard sell a lot of beer outside Bend. Which is great. And the reality is, they have to. The problem with Bend in the "post-craft era" is this: There are a growing number of breweries from all over competing for customers outside their local markets. We can agree the craft beer market is growing and that Bend makes a good product. But at some point we are going to reach the point where regional markets become saturated and there won't be room for everyone who wants to be there. It seems to me breweries concentrated in areas with relatively small local populations are at risk in that scenario. For them, there may be little to fall back on. Bend may be the ultimate example of a place where significant risk exists, though it is likely not alone. I would tease apart a couple things here. De Garde is not exactly in the same camp as Worthy. Or, to use the Bend example, Ale Apothecary. One of the features of the aughts and teens are small, specialty breweries that will necessarily appeal to >1% of the general population. They can't rely on local markets. Fortunately, there aren't enough of the kind of beers they brew to satisfy the geeks in the cities, so distribution further afield is a way of meeting demand. But places like Worthy that make essentially a standard line of American ales have a different market. What they're offering (stout, IPA, pale, DIPA, bitter, kolsch) is available everywhere. It would make sense for a brewpub like that to depend on a neighborhood to support a baseline of production--500 barrels, say. Overcrowding makes that a riskier proposition in Bend. Good points. The thing De Garde and Worthy have in common in my mind is neither would be able to make it with strictly a local following. You are correct that De Garde's specialty beers make it somewhat immune to the local argument...people in the city wants those beers badly. In my mind, there are bunch of places in Bend that are specifically designed to target remote markets (primarily Portland, yes) with a standard line of beers. I would include Worthy, Crux, Good Life, Silver Moon, 10 Barrel and even Boneyard on that list. (I leave Deschutes out because they are well-established.) Those breweries would not be able to sustain themselves strictly on local business. Thus, the risk.